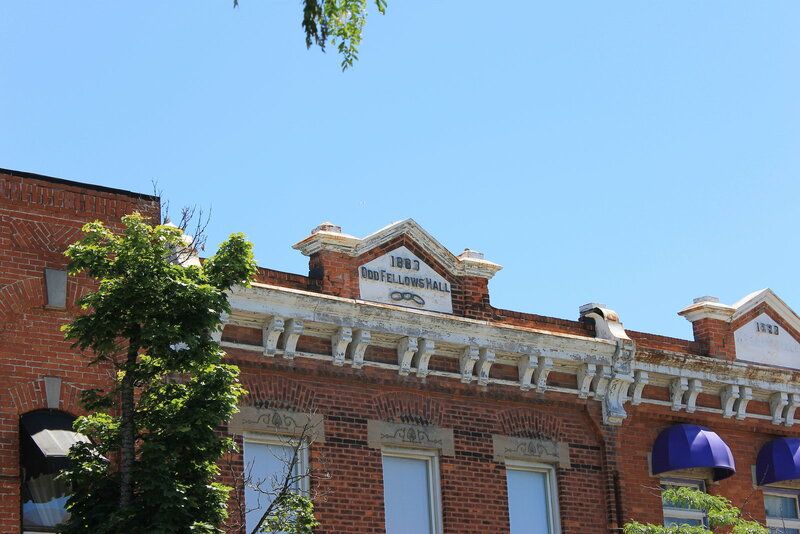 Oddfellows Hall (c.1883) includes a series of addresses, 126-132 Lakeshore Road East, and is said to have been one of the most important commercial sites in Oakville. 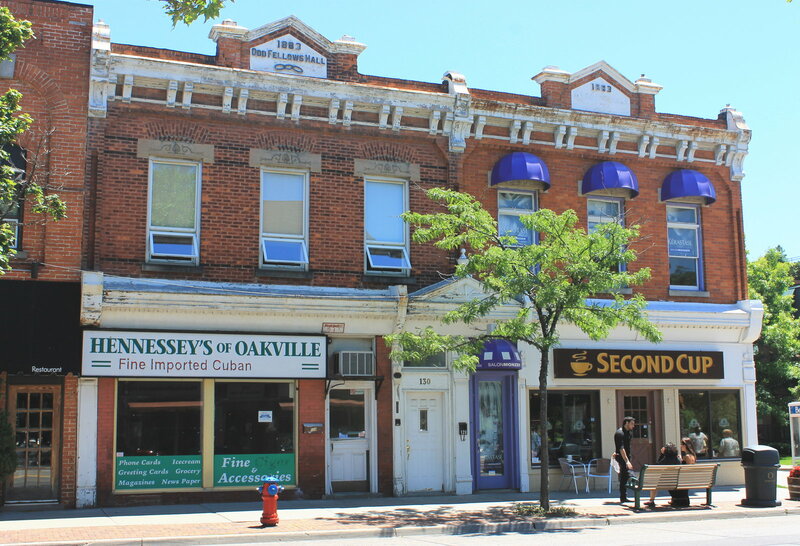 This corner is the “gateway” to the Old Oakville Heritage District. In the past this building was owned by The Independent Order of Oddfellows, but the ground floor of the building was leased to merchants and business owners. The second floor was used by the organization to hold meetings that focused on personal and social development. At one point in time, #132 housed the main office of the Oakville Star newspaper. An inscription still remains from the time it was built, which reads '1883 Oddfellows Hall'. 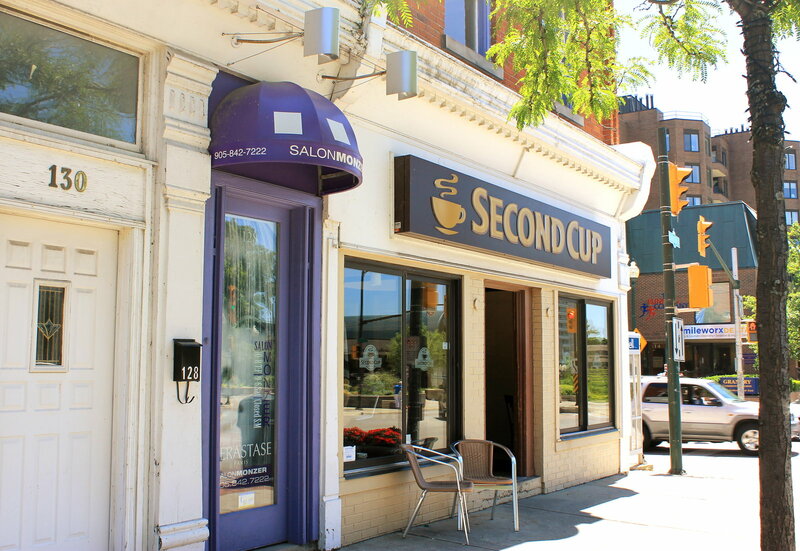 Nowadays the building is occupied by well-known shops such as Second Cup and much of the architectural details still remain intact. 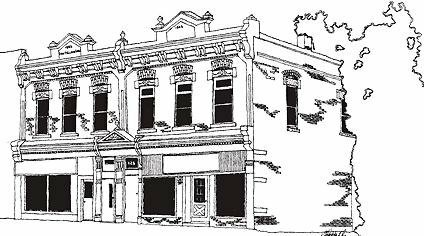 Information and drawn image credited to: Town of Oakville Designated Buildings: Part IV of the Ontario Heritage Act. Oakville, Ont. : Town of Oakville, 2000. Print.